Hello there! 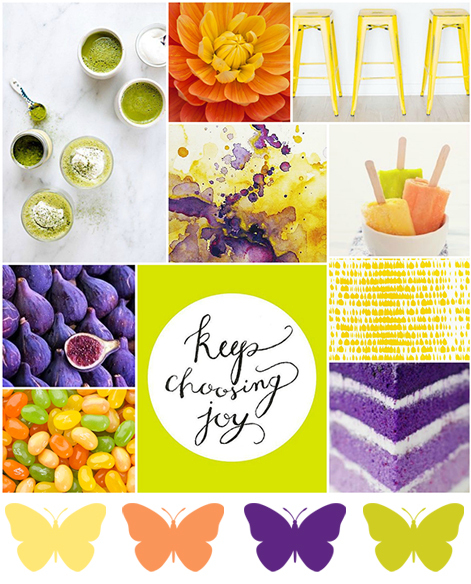 Amanda here today to share this month's mood board! I love citrus tones, they make my heart happy! Like seriously, how can you not be cheered up by these colors? Anytime I start a new project I find myself reaching for yellow, but you know what I don't use? Purple. I think it's a super underused color in our little crafty world. Let's change that! I hope this board inspires you to create something lovely! Please share your projects in the comments below or you can post on Instagram with #BRImoodboard. Don't forget we also have a Facebook group. If you haven't joined yet, you should! There's lots of great inspiration shared and there's always room for more!